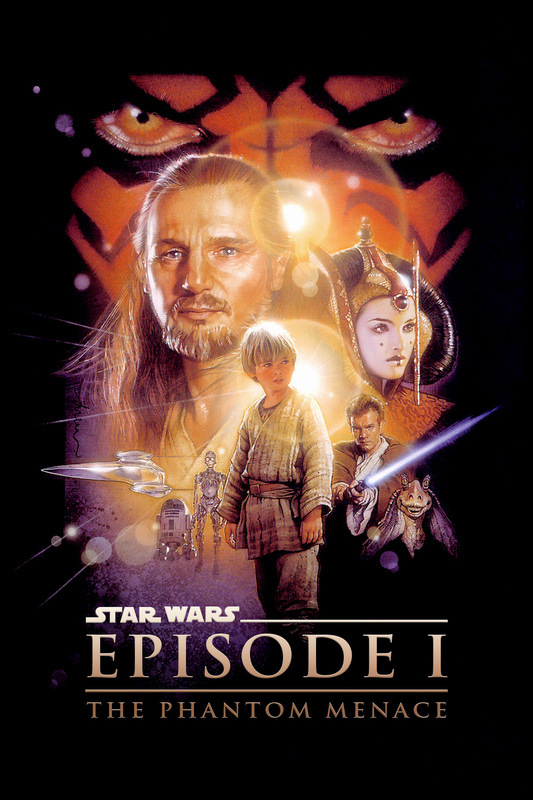 Synopsis: When the planet of Naboo comes under attack from the sinister Trade Federation, it falls to two Jedi Knights, and a mysterious young boy to try and solve the conflict. Review: Back in the 1970s, in 1977 to be precise a film was released that would later go on to redefine not only the science fiction genre, but films in general. A film that would go on to have two successful sequels and remain insanely popular to this day.This film is of course Star Wars, and the man behind this remarkable feat of cinematic brilliance was George Lucas. Therefore when plans were announced to expand on this universe with a prequel trilogy, fans must have been overjoyed, and excitement built. However, ultimately their excitement and anticipation was misplaced. The first film had the immediate sense of intrigue and excitement, and you would have thought that the creator of this universe would recapture that immediately. Yet right from the opening credit crawl, something just doesn’t feel right. This is not the Star Wars movie we were looking for, it is trying to be a part of the much loved franchise and although it technically is, it just feels hopelessly out of place. The first three films had great writing, some terrific characters, and some brilliant action scenes and combined great use of practical as well as visual effects, but virtually none of that is employed here, with some stilted dialogue and some horrendously written characters. It is worth wondering when watching this film, is this the director who created this universe with his 1977 masterpiece? The main plot revolves around peace treaties, and political squabbling. It just doesn’t boast the excitement of the original trilogy, or have that emotional punch towards the climax, and the writing is absolutely nowhere near the level of quality that was on show in the original trilogy (for the most part. )It is almost painful to watch at times watching these characters devoid of any emotional connection to the audience. The film struggles to retain interest in the story, which in parts is down to the horrendous overuse of CGI. There is so much on show here it is once again painfully apparent that some shots were done on a computer, and the lack of quality written characters, despite some considerable talent in front of the camera, shows the real weaknesses in Lucas’ script, which is evident with what many believe is one of the worst characters ever put to film: JAR JAR BINKS!!! Right from the off, this creature instantaneously irritates, with his nonsensical actions as well as his dialogue and he is just downright infuriating to watch. Also annoying, but not quite to the level of Mr Binks is the introduction of Anakin Skywalker, played by Jake Lloyd. The big selling point of the prequels is to watch Anakin turn from the good Anakin to the evil Darth Vader, but he spends the majority of the movie moaning and it’s just painful to watch, particularly because Jake Lloyd does not give a good performance at all, but then again with the script by Lucas being as bad as it is, it doesn’t help him shine. Vader is one of the most iconic villains in film history and his back story is just ruined by this terrible performance. The absence of the emotional connection for the film is seriously damaging and the overuse of the CGI particularly in some of the action sequences is so noticeable that it hurts your eyes while you watch. It’s like being fed with the same food day in and day out, after a while you’re going to get bored, and the effects are a bore at times. The effects do not hold up in parts and they add nothing of substance to the movie. With all that said, there are some, but not many plus points, namely the John Williams score remains as excellent as it always has been. There are some cool scenes such as the Pod racing sequence, and there is a very cool character in Darth Maul. In addition he is part of what is probably the best scene in the movie, the light sabre duel between him, Qui Gonn and Obi Wan. But yet again, there is frustration as Darth Maul has has very little screentime and is ultimately killed off before we had a chance to see what he could really do. It is ultimately a shame that after 3 near perfect movies, and a 16 year interval between Return of the Jedi and this, this is the end product. It’s a real shame because with the advancement in the effects at the time, there was scope for greatness, but this fritters away into a gigantic CGI and effects heavy mess. With a poor script, and a frustrating over-reliance on CGI, as well as some truly atrocious acting and characters, this was such a missed opportunity to expand on the brilliance of the original trilogy, but instead chose a path of mind numbing mediocrity. Great review! I’m still a little sore about how poor the prequel films were. The CGI puts so much distance between the plot and and my involvement in it. I remember feeling a sense of disbelief at how truly boring large chunks of the film were. Also, I didn’t much like the lightsaber duel at the end. I thought it was beautifully choreographed, yet that was the inherent fault with it. You look at the saber fight between Luke and Vader in ‘Empire’ and it’s a lot more natural in the way it unfolds. The fight in ‘Menace’ looked like it had been through rigorous training regimes to execute all the correct ducks , swings and jumps. I realise, that’s a small gripe next to the fundamental failings of the film as a whole. I agree with your comments Gareth mate! It was just baffling how poor the film was and yeah the fight in Episodes 4, 5 and 6 were so much better. The fights in the prequels were choreographed to a T where it just wasn’t natural anymore. For The Force Awakens, are your expectations tempered by the poor quality of the prequels, or ignited by the new creative team? I’m feeling very optimistic too. From the trailer and various interviews I’ve seen and read, he’s making all the right noises. I think Star Wars fans are in for a treat, and perhaps people who’ve stopped believing in the magic of Star Wars will find themselves back on board. I certainly hope so man!